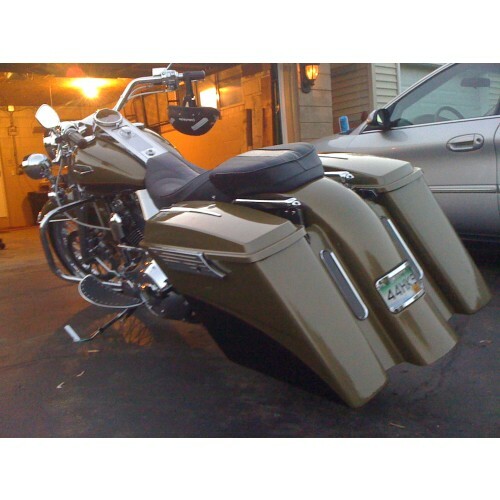 ***The fender shown here will accept up to a 160mm rear tire. 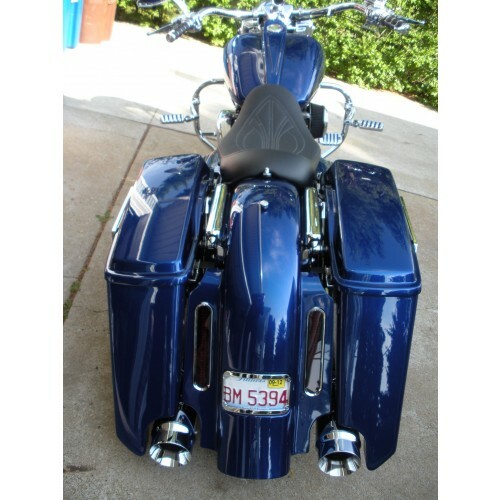 We offer the same style (but wider) steel rear fender in another listing that will accept up to a 180mm rear tire. 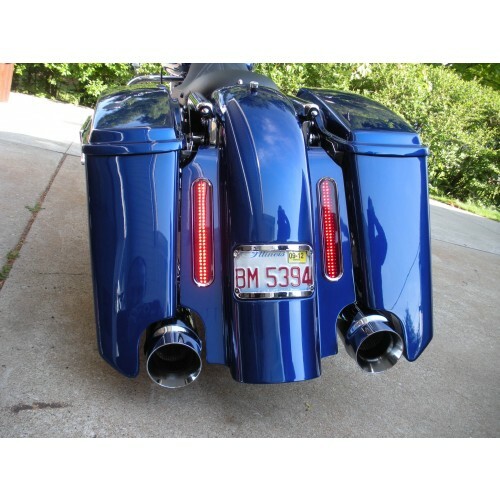 These ALL STEEL, stretched rear fenders are available in a 2" or 6" stretch and with or without a recess for the license plate. 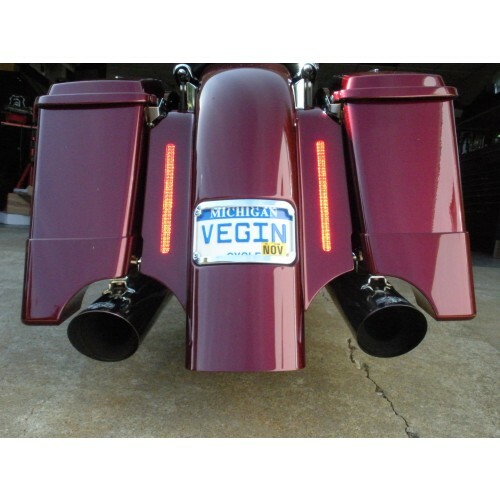 They are STOCK WIDTH so they can accept up to a 150mm rear tire. These fenders are AMERICAN MADE from 14g STEEL and have all the mounting holes laser cut so they are ready to bolt on. 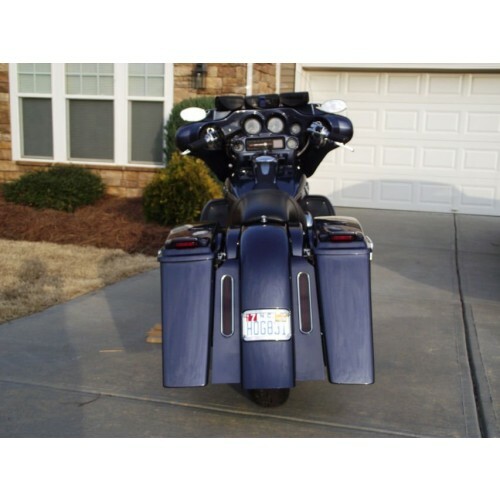 The steel lower filler panels offered here are a NATIVE CUSTOMS ORIGINAL DESIGN. 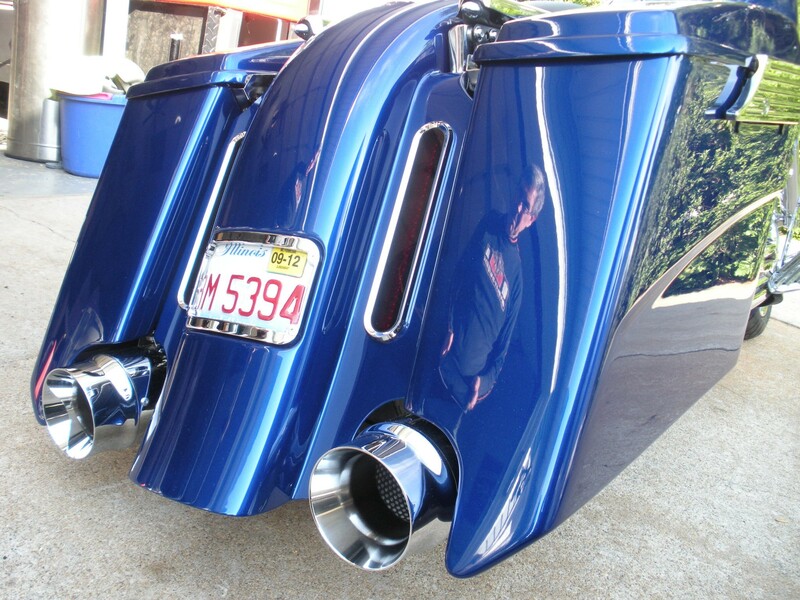 While we do use the KW stamped fenders, we designed our own custom welded on lower filler panels to work with these fenders and with the KW curvaceous upper fillers. 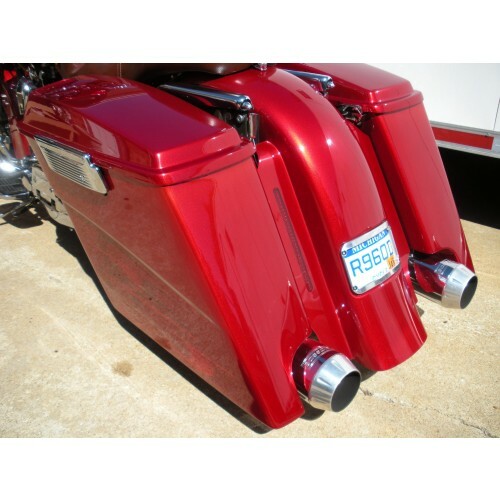 IMPORTANT NOTE: We modify these KW fenders WE sell (for no extra charge) to make your installation easier and to save you aggravation and $ down the road. We go the extra mile with attention to detail that shows in the finished product! 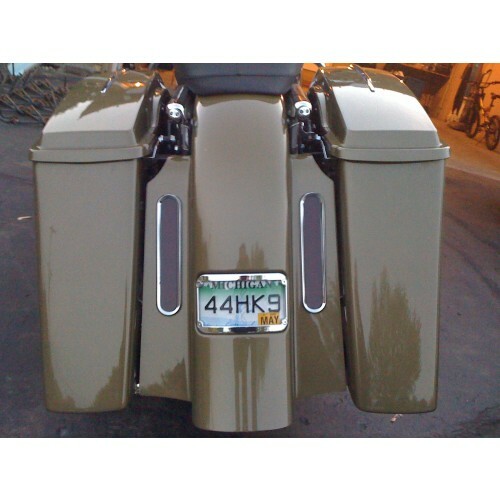 For example; these fenders don't have the license plate holes in them from KW, but if you purchase a fender with a recess for the plate and buy the license plate frame at the same time, we will measure and drill the fender to accept the license plate frame, thus saving you the hassle! 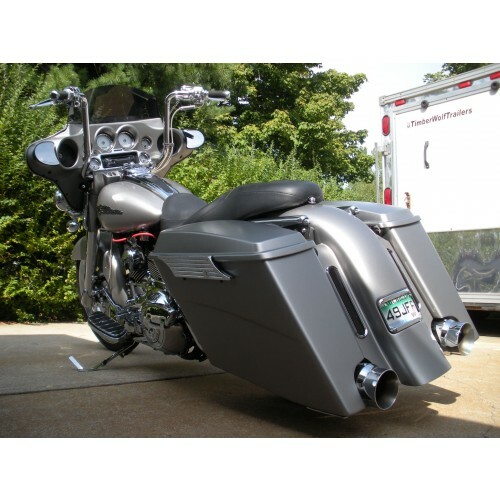 We also weld a stud in the tail to give your saddlebag rails more strength and stability. Again, they do not come that way from KW. Give us a call and we'll explain. You'll be glad you bought from Native Customs! 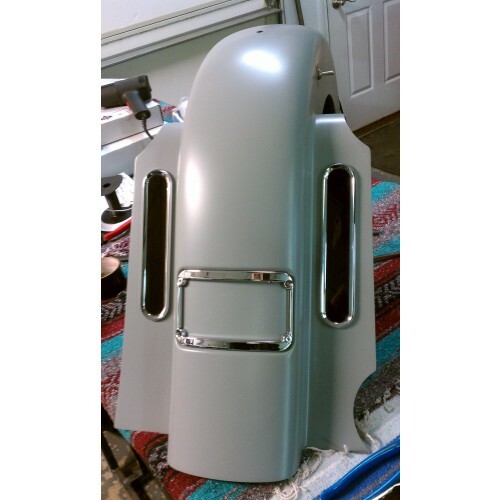 If you choose to add OUR lower filler panels, they will be welded on to the fender. 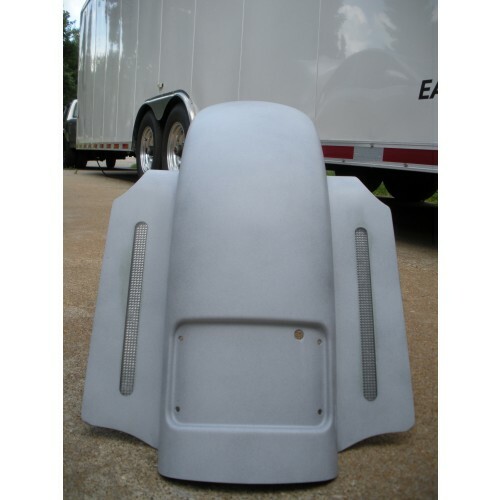 This will allow your painter to mold them in to the fender for the ultimate seamless look, or our we can mold them for a added fee. 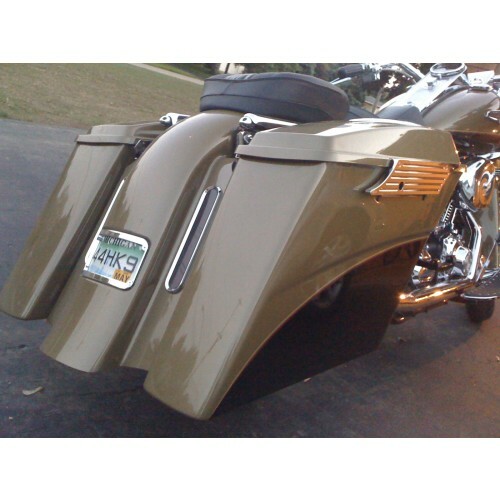 The optional curvaceous upper fillers do not get welded to the fender. They are bolt-on. 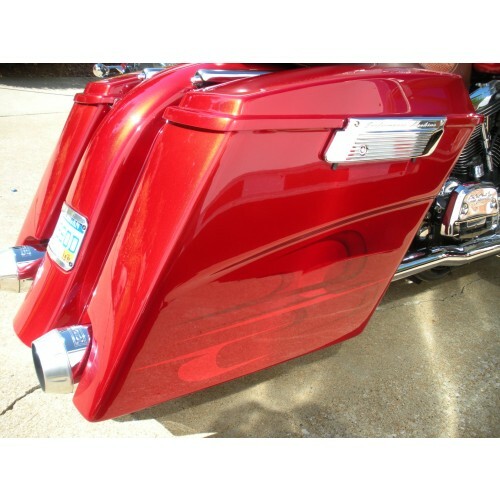 Our optional steel LOWER filler panels are available for stock or stretched saddlebags and with or without l.e.d. lights. If you choose to add the l.e.d. lights to the fillers you will get a super bright 8" tall x .625" wide double row l.e.d. installed in each filler panel. 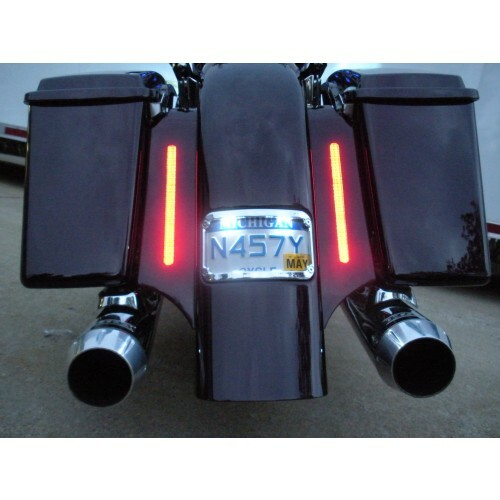 These lights are available as totally flush or chrome bezeled and can function as running, brake, and turn lights when used with our optional (American made) taillight module available below. The totally flush lights require extra prep work by your painter or ours (this option available below) and get clear coated when painting so they will be glass smooth when done properly. 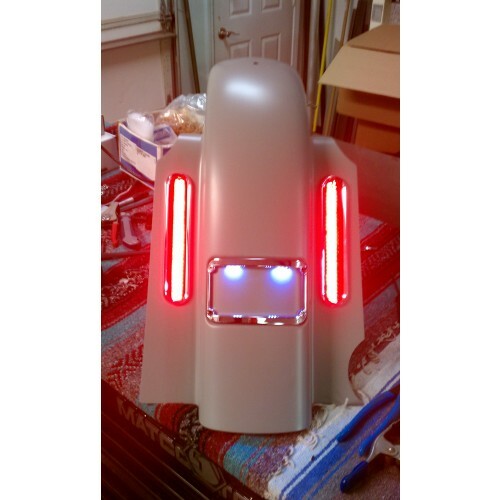 The chrome or black bezeled l.e.d. 's do not require any additional prep to the fillers before painting. Several license plate frames are available. Please CLICK on the options you would like in the menus below to see your final price. 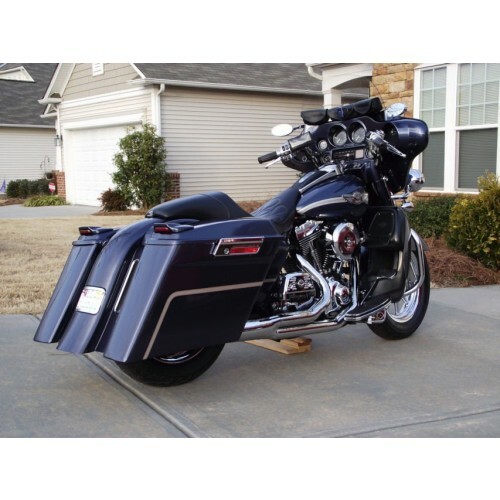 We also offer our stretched rear fenders for 09-present Touring, for Softails, and also to fit a 180mm rear tire on the 1997-2008 touring models. 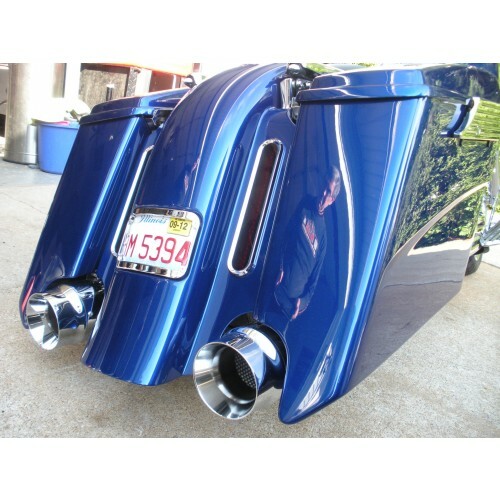 Please call the shop or see our other listings for these and for front fenders too! 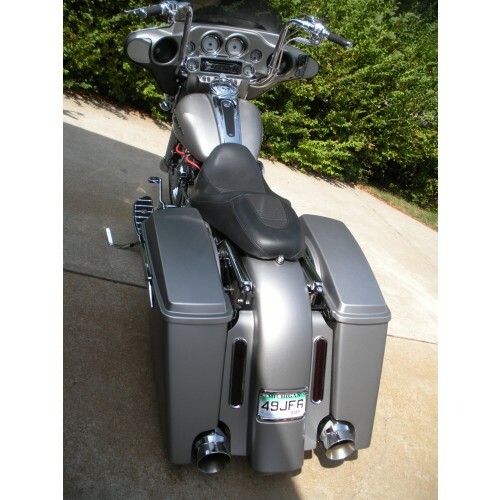 *NOTE - Filler panels for single or dual exhaust will have small cut-outs in the filler panels that are just large enough to clear your exhaust, so you will have to install the fender on the bike and make the final exhaust cut-outs to match your saddlebag exhaust openings before sending it to paint. 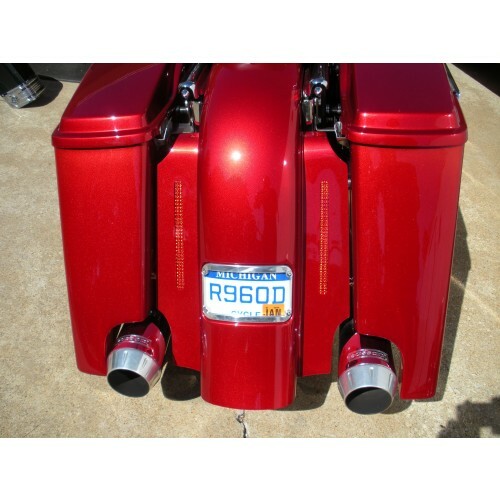 This will ensure that your filler exhaust opening perfectly matches your saddlebag opening. Fitting every body part before paint is the proper way to build a bike!